Set for Britain is a series of poster competitions and exhibitions for early-career research scientists, engineers, technologists and mathematicians. Founded in 1997, it takes place every year at the House of Commons. Alessia Taccogna had the honour of being selected for this year’s contest, which was a great achievement since she was one of just 50 people chosen from 500 entrants in the biology category. Alessia presented work she carried out at UEL to develop an oral vaccination for a parasitic disease called trichinella spiralis, which is usually caught through uncooked meat. She and her fellow researchers are using a probiotic yeast to create the vaccine. Once the vaccine delivery system is optimised, Alessia says the UEL research team believe they can modify it to deliver any sort of suitable vaccine. 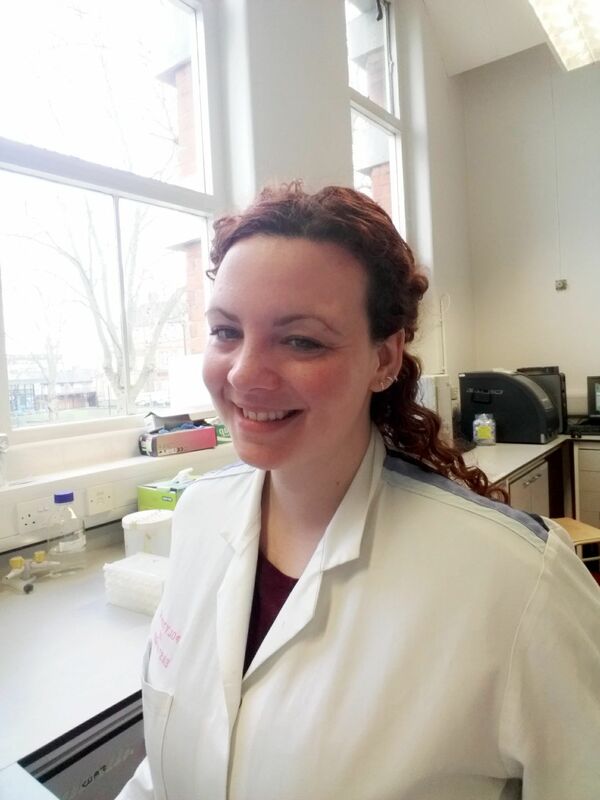 Alessia came to UEL in 2009 from Caserta, Italy, to finish a bachelor’s degree in Pharmacology and Molecular Microbiology that she had started at a university in Italy. 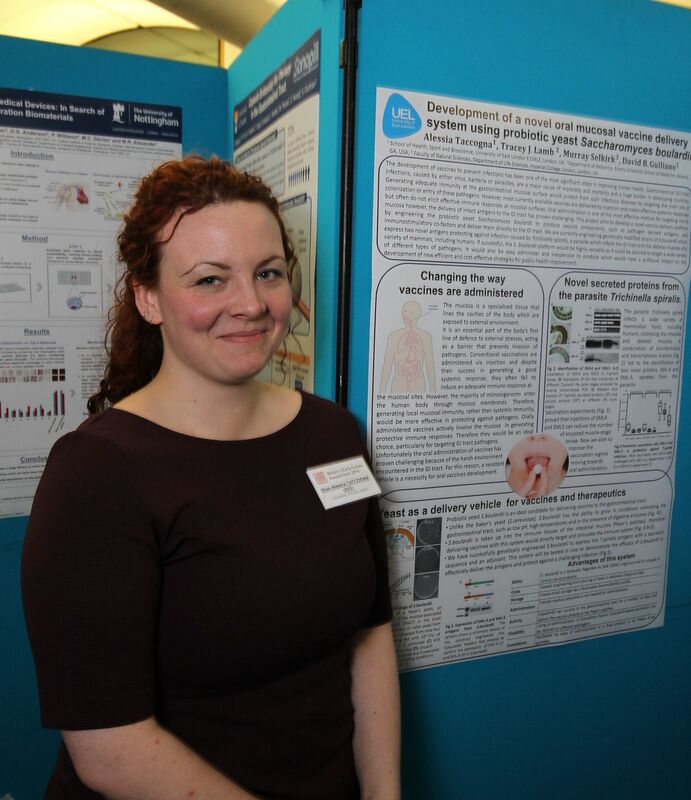 In her third year, Alessia did a summer internship with David Guiliano, a senior lecturer at the School of Health, Sport and Bioscience, on the development of oral vaccination. The work led to her current PhD in Development of Novel Oral Vaccine Delivery System. At Set for Britain, Alessia showed off her project in front of a panel of judges and discussed her research with Members of Parliament and professors from other universities. “I’ve done loads of poster competitions and science conferences before but this was the first time I did public engagement in front of non-experts,” she said. Alessia said she didn’t expect to win the competition – that wasn’t her objective. Rather, it was an opportunity to highlight both her own work and the great research being done at UEL. Alessia, who has been passionate about microbiology since she was a child, said being a researcher is difficult and competitive. She added that she was grateful that her PhD has been fully funded by HSB, which has allowed her to focus all her attention on her work. Alessia said it was also necessary to network and make the right contacts to help advance her work, which can be tough.